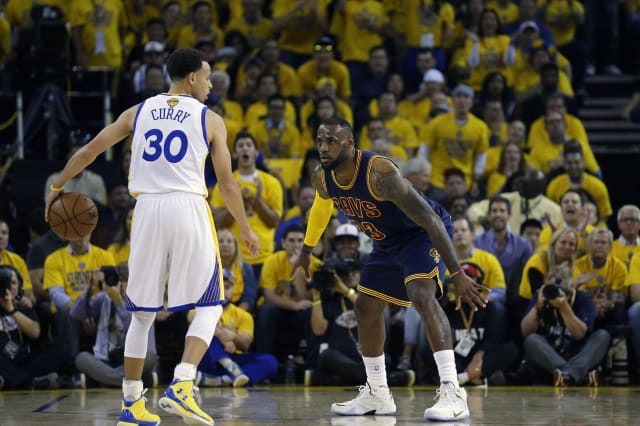 Stephen Curry vs. LeBron: Who Has the Real 'Home' Advantage? ASSOCIATED PRESSStephen Curry, left, is seeking his first NBA title. Cleveland's LeBron James already has won two with Miami. It's a dream matchup for the NBA, but who wins in the game of real estate? On the basketball court, instant replays may help make the call, but in the real estate arena, there are no rules. And when it comes to professional ballers LeBron James and Stephen Curry, it's not just an all-out battle in the NBA Finals -- it's also a war for the real estate crown. 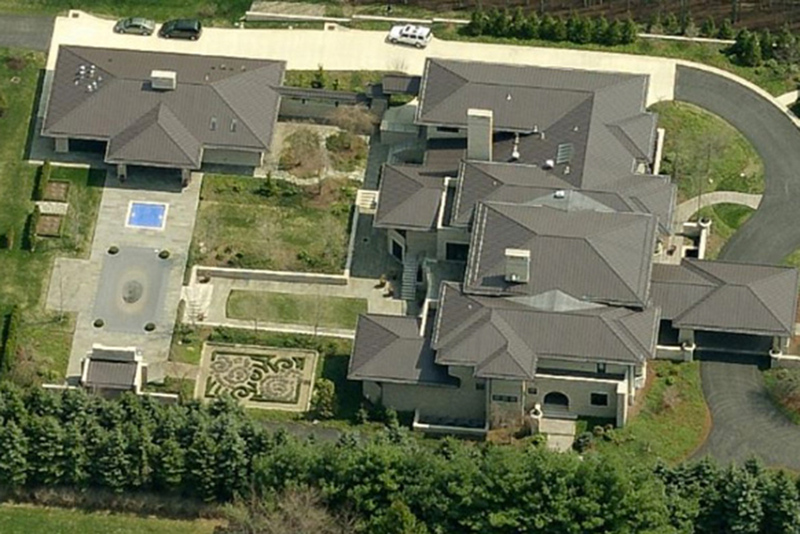 In the spirit of competition, we took a look at which hoops star has the more stunning mansion. 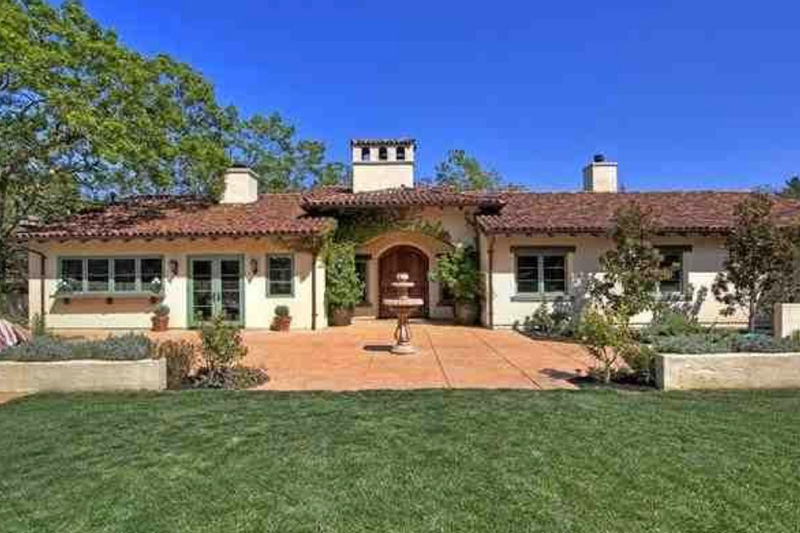 For Golden State Warriors star Stephen Curry, home in California is a luxurious house in the Bay Area suburb of Orinda featuring five bedrooms and 4.5 baths, with a true splash of Spanish flair. Curry reportedly bought the spread in August 2013, dropping $3.1 million on the hot hacienda with a red roof. Meanwhile, the Cleveland Cavaliers' "King James" built a home in his Ohio hometown of Akron so large, he probably needs to whip out his Benz to get from one side to the other. The six-bedroom home, which features eight full baths and six half baths, is the ultimate party pad. 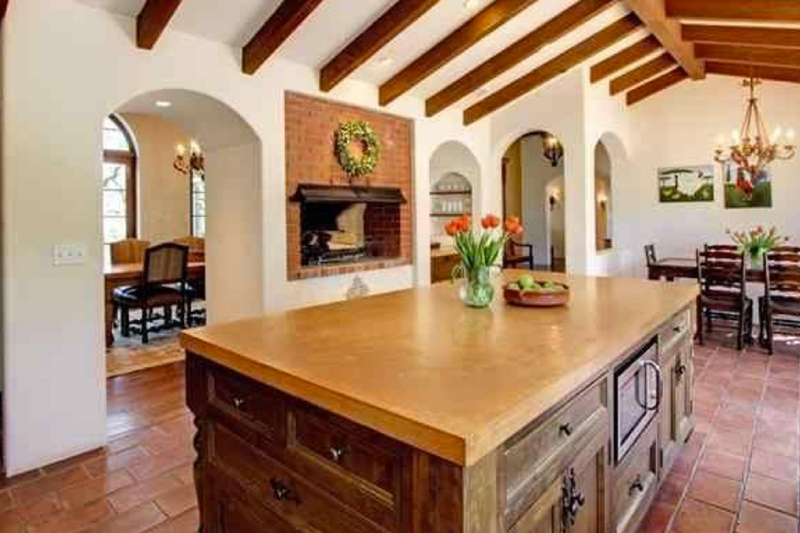 TruliaStephen Curry's kitchen features a brick fireplace, rustic tile floors, a large island and exposed wood beams. Curry's kitchen, above, boasts wood-beamed ceilings, a toasty brick fireplace, and a spacious island where Stephen (or, let's get real, the family's private chef) cooks up healthy meals to give the point guard his superpowers on the court. cavaliersnation.com via TruliaThe kitchen in LeBron James' Akron home is decidedly more modern, with lots of stainless steel and sleek cabinetry. 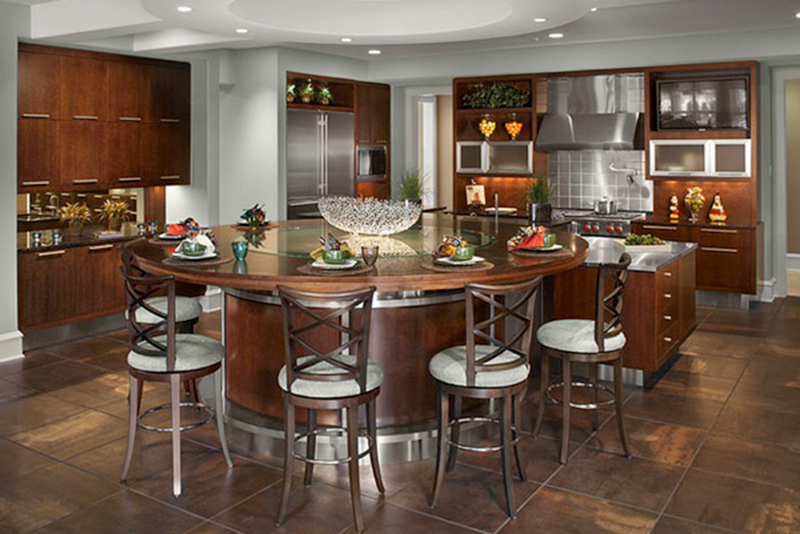 Meanwhile, James' stainless steel kitchen, above, is complemented with wood paneling and a circular island with bar stools. Winner: Curry. His kitchen has more character. cavaliersnation.com via TruliaLeBron James' estate sits on seven acres, though land is typically far less expensive in Ohio than in California. Located on almost seven acres, James' 30,000-square-foot palace, above, is basically a castle plopped in the middle of Ohio. Not only are there several roads leading to the actual estate, but James also has his very own basketball court. And if you take a look at the aerial photos, you'll notice some sort of garden maze, which every NBA star obviously needs. 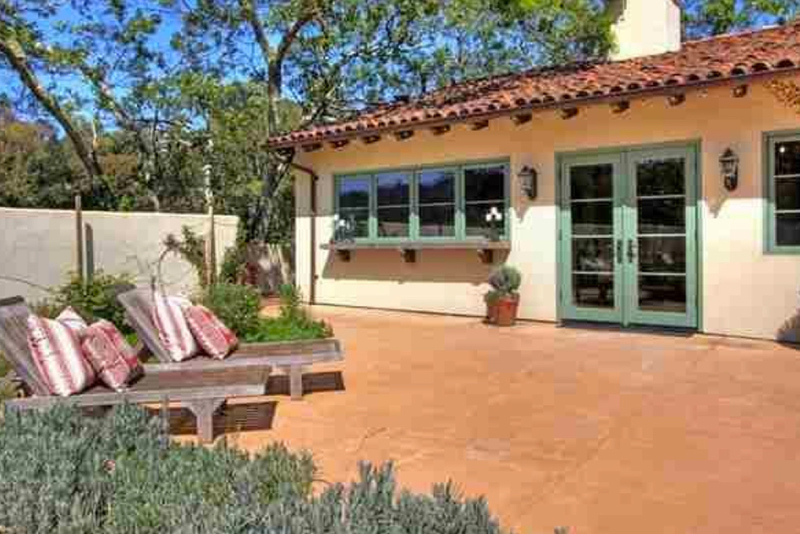 TruliaStephen Curry's Spanish-style California home sits on less than an acre of prime Northern California real estate. Curry's property, above, is only .68 acre, which for us normal folk is nothing to sneeze at, but in comparison to James' palace, it looks about as exciting as a studio apartment. Winner: James. Because size does matter. cavaliersnation.com via TruliaLeBron's man cave has some South Florida style but the married father of three probably lets the kids play in it too. James takes the cake when it comes to hanging out. 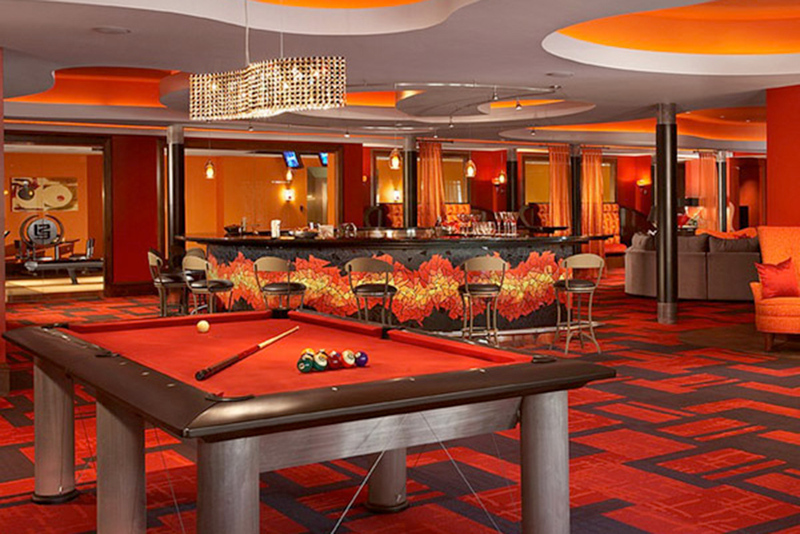 He has a pool table and sports activities bar, above, but the room itself is bigger than some actual sports bars. His whole team went over for Thanksgiving last year, which clearly indicates that people are clamoring to get into his pad. TruliaStephen Curry's place looks ready for family time with wife Ayesha, daughter Riley and some friends, not nightlife. Curry's home isn't exactly the type for wild parties, but he could certainly have one killer dinner party on that beautiful back patio, above, with its lush landscaping and canopy of trees. You know, in case he's into that kind of thing. Winner: James. He's got the party pad. 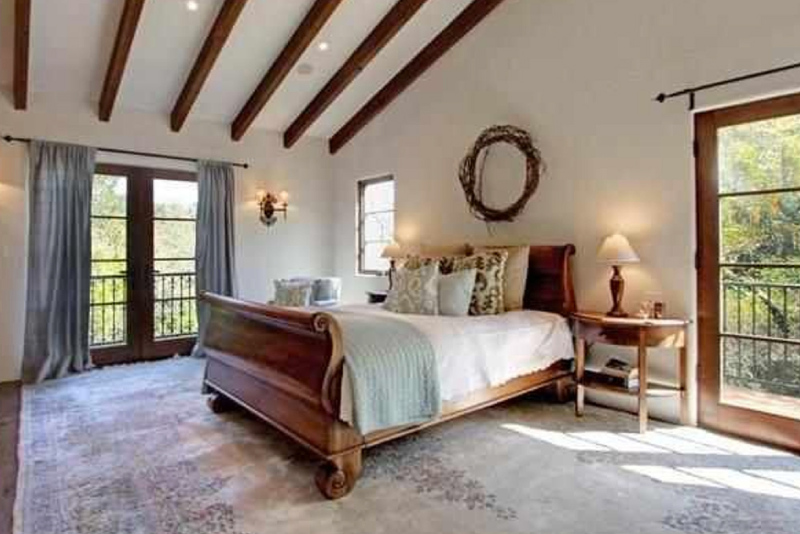 TruliaCurry's bedroom has a balcony, another fireplace and more of the Spanish motif present throughout the home. Curry's master bedroom has a killer view from the outdoor balcony, and the white fireplace looks great next to the wood-beamed ceilings. No word on what James' bedroom looks like, but we imagine there's some sort of extra-long, circular revolving bed that operates via remote control. Winner: Curry. Few things could top that view. 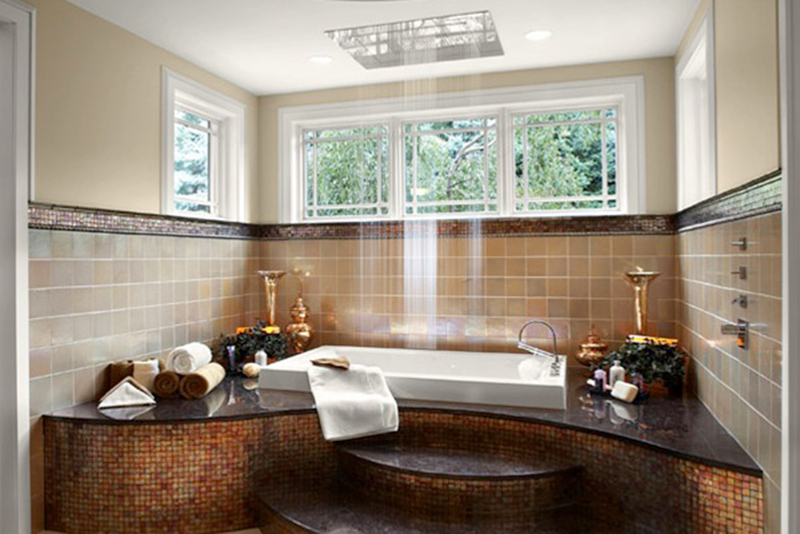 cavaliersnation.com via TruliaThe master bath is just one of 14 bathrooms in LeBron James' home, including eight full baths. James' master bath, above, is truly the lap of luxury. The spacious tub is extra-deep, and even has additional space around it, which he must love when he decides to sit back in a hot bubble bath. 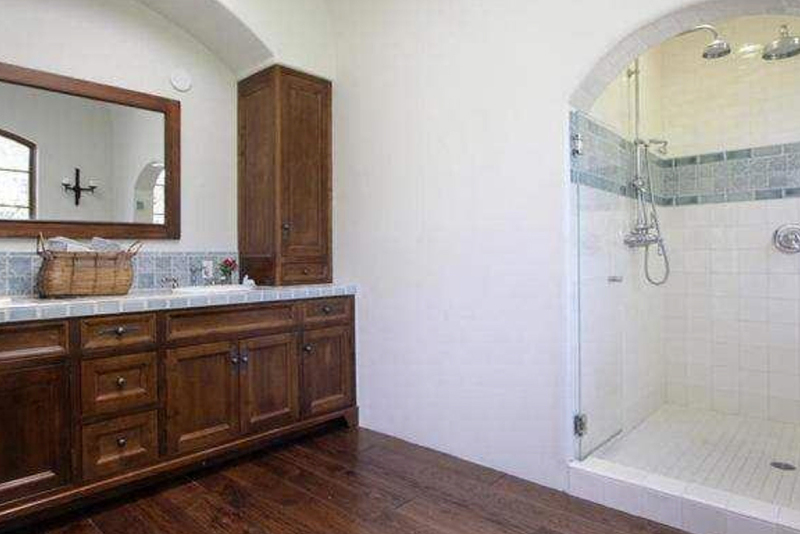 TruliaThis bathroom in Stephen Curry's home features a spacious shower with multiple shower heads. But we're partial to Curry's classic bathroom, above, featuring dark hardwood floors and a curved entryway into the giant shower. Winner: Curry. Just for the shower. Ultimate champion: If you're looking for the ultraluxe life, James' Akron pad is certainly the more gilded of the two. But Curry's Spanish-style beauty is a winner when it comes to having unique character that doesn't give off a party vibe. LeBron James images courtesy of cavaliersnation.com via Trulia.